It was an honor to be invited to the annual big event, MICE 2015 for us Event Planners planned by event planners. And to top it off, Dream Solutions had won the Best Conference Event Series of the year!! 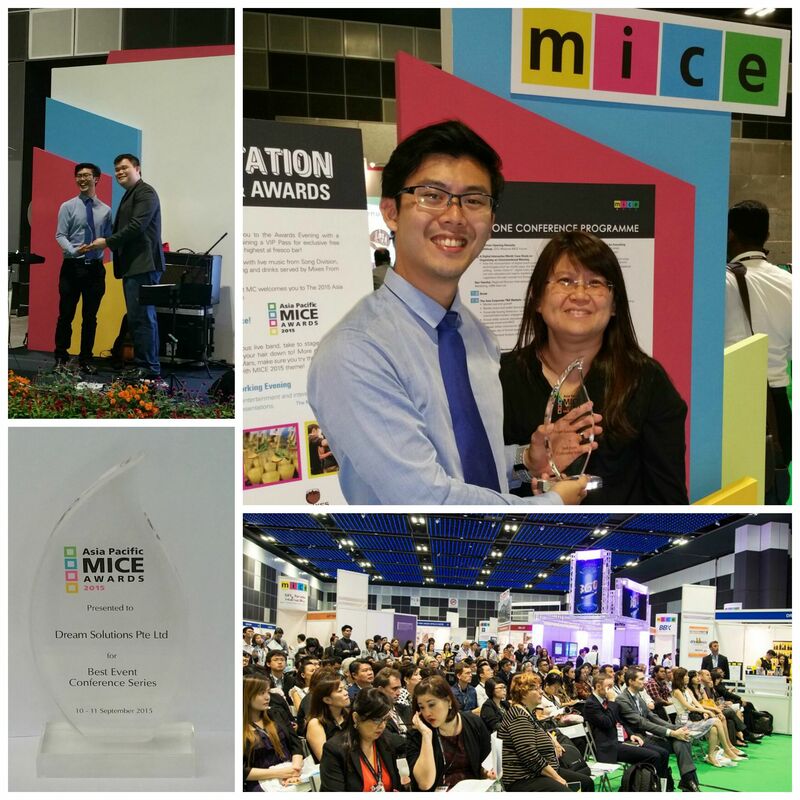 thank you MICE Asia Pacific Exhibition for the recognition. Once again thank you very much for giving us this wonderful experience!